I don't think you can go wrong picking up a dystopian novel at this point. After the Hunger Games obsession it is only natural that other amazing post-apocalyptic stories are gonna spring up. One of those, is Divergent. After people realised that religion, race, political ideology are not the actual reasons for the existence of a warring world, but man's innate ability to screw up basically, his inclination towards evil, they decided to divide the world into factions, each targeting at eliminating the factors that led to its destruction. The factions are 5: Amity-eradicating aggression, Erudite-eradicating ignorance, Candor-eradicating dishonesty, Abnegation-eradicating selfishness and Dauntless-eradicating cowardice. Each member of the community when sixteen, undergoes a test to help them decide their "calling", to which faction it is believed they would be more suitable for. After that, a ceremony takes place during which each of them is called forth to publicly declare their final choice of faction. I know right?And you don't know the half of it!This is only the start of a long journey the characters in Divergent have to embark in order to discover the origins of their system's corruption, in the hopes of finding a piece of their true selves along the way. 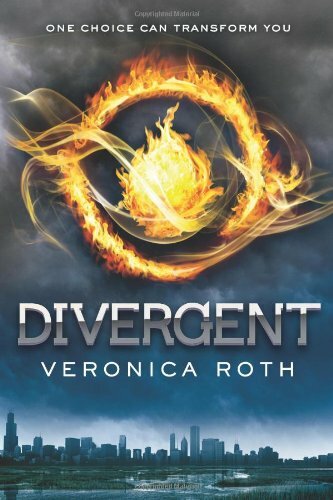 Divergent was quite a ride and I loved every minute of it! Call me superficial, gullible, whatever, but I never stop and analyze the world building when it comes to dystopian novels. I mean unless the world building consists only of "The old ones died somehow. We are here now. I'm in love with him" I'm OK with anything they throw at me. I don't care if it sounds totally impossible or irrational. It's dystopian. Being irrational and impossible are kind of a "must". That being said, I don't think that Divergent's world is irrational or far-fetched at all. Quite the contrary, actually. It sounds freakishly possible and doable. And the most terrible thing of all is that even though the people in Divergent had humanity's best interest at heart, and I truly believe they did at first, they still managed to screw it up because they are only human themselves and humans will always, always, have a thirst for power and superiority no matter how good their intentions are. That I believe is the message Divergent is trying to get across. A bit sad, I know, but very true. Characters were all OK. There was plenty of room for development and Roth used it all perfectly. Apart from the protagonists, Tris and Tobias, who obviously get most of the reader's attention, secondary characters are also very well drawn. Especially Tris's friends in Dauntless whose initial fondness of Tris started wavering when they realised she's a force to be reckoned with and not just a shy, helpless little Abnegation girl. What I didn't like about Divergent, and I really hope I won't get publicly flogged for this, was its length and consequentially the fact that it dragged at times. Especially in the beginning, all the Dauntless training was heavily detailed and unfortunately didn't help the story move forward. Which inevitably led to all the actual action taking place at the last 60 pages or so. Apart from that though, I would recommend Divergent in a heartbeat. Brace yourselves, it's brutal. But I think that's a big part of its appeal. I strongly believe that Divergent IS the next Hunger Games.